A range of styles, shapes and designs. A kitchen to capture your imagination and inspire you to create your own perfect space. 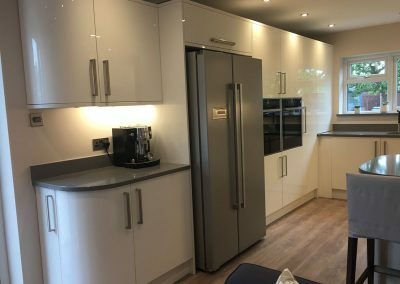 We offer a comprehensive range of kitchens with a choice of design, style, colour and finish to help create an individual, quality kitchen at an affordable price. Whether you need a supplier or a fitter, K & B Innovations have the skills to help. Our solid relationships and trade accounts with many local suppliers, manufacturers and distributors means all styles and designs can be catered for. Nowadays, Kitchens are no longer just a place where food is prepared and cooked, but a living space to welcome friends and family. 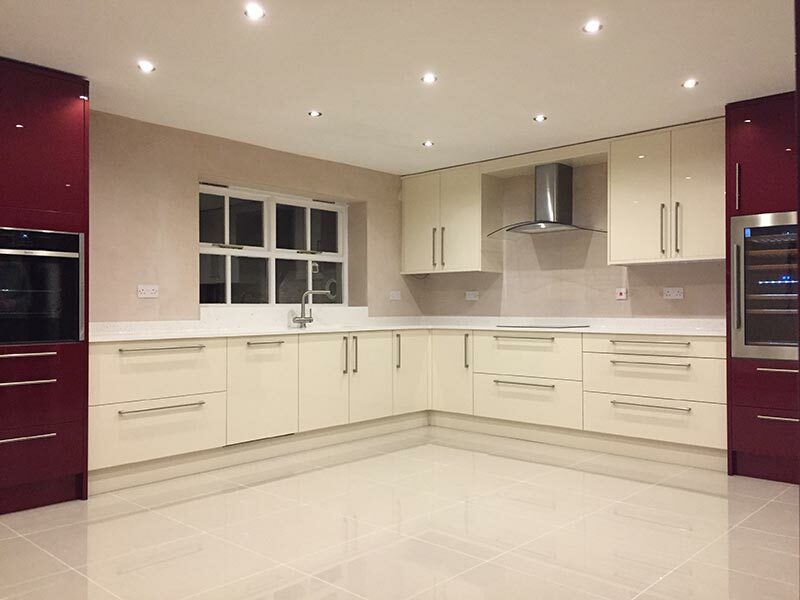 Kitchens can be designed to fit your individual lifestyle and requirements. An installation does not have to mean weeks without a working kitchen area. Installations can be planned to suit your needs, with customers often enjoying a short holiday and returning to a new kitchen. K & B Innovations recognise that delivering an impeccable finished product is vital for customer satisfaction. 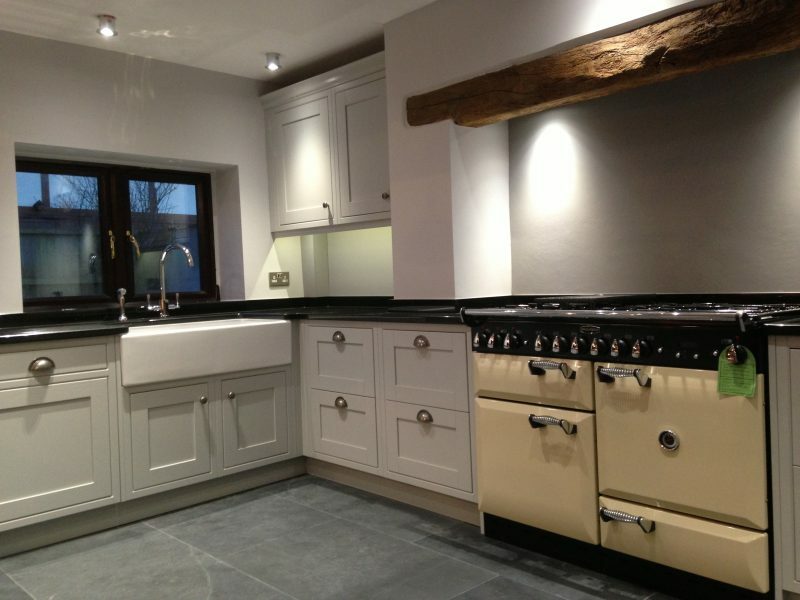 Based in Evesham, the team provide an excellent supply and installation service in the town and its surrounding areas. K & B Innovations provide Crown kitchens and Crown bedroom furniture with no showroom or hidden costs. Samples and materials can be selected in your own home, ensuring you have the time to make the right choices and decisions without showroom pressures. Iain has built wonderful relationships with his customers and now regards many as friends. In the unlikely event of a problem occurring following the installation, customers can ensure peace of mind, knowing we will always return to resolve any issues or concerns. Whilst our work is guaranteed for a period, it is important our customers feel confident in the knowledge that we will never let them down. Our success has been based upon repeat customers and word of mouth, we now feel we need to branch out and offer this positive and highly recommended service to more. At Kitchen & Bedroom Innovations, our state-of-the-art 3D Design System creates images to show your actual space with the chosen and selected products. This allows a clear view of the finished look, making decisions about room accessories more straight-forward. It is a free, no obligation service, whereby plans can be changed and amended as required until the desired finished look is complete. Kitchen alterations and modifications can radically change the room’s appearance. Often a worktop-change can give your kitchen the face-lift it requires. 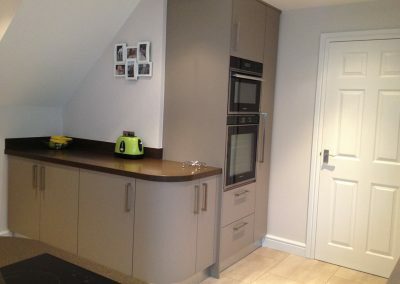 We have vast experience in this field and experience of working with solid and laminate worktops. 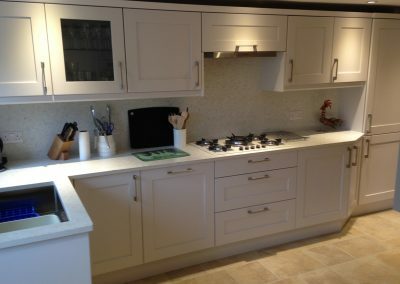 Solid surface worktops are available in a selection of colours. FOur local Granite supplier will always deliver a great service by initially visiting your home to template the areas, and then returning for the installation once the base units have been located.